A day or a two back, we gave you so many reason to love Samsung Galaxy Note 4 and now we have one more. 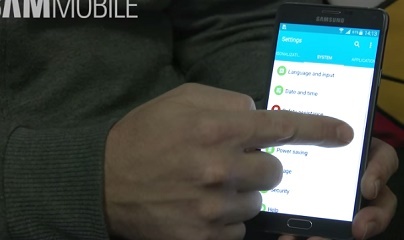 A video leaked in the internet is telling that Android 5.0 Lollipop is there for Note 4. Note 4 comes with Android Kitkat from factory and we had news that Android Lollipop will be rolling out soon for Note 4. But now this video is emphasizing our assumptions. Android Lollipop is the latest as well as the sweetest version of Android as mentioned by Google and it has incorporated an entirely new technology and design into the OS. This is known as the Material design. The concept of material design is nascent in Android Lollipop and brought an entirely unique concept of user inyerface which has not yet been witnessed in any version of Android so far.